As promised, there is a prize for those under 21 who can’t win the Little River Casino gift certificates. 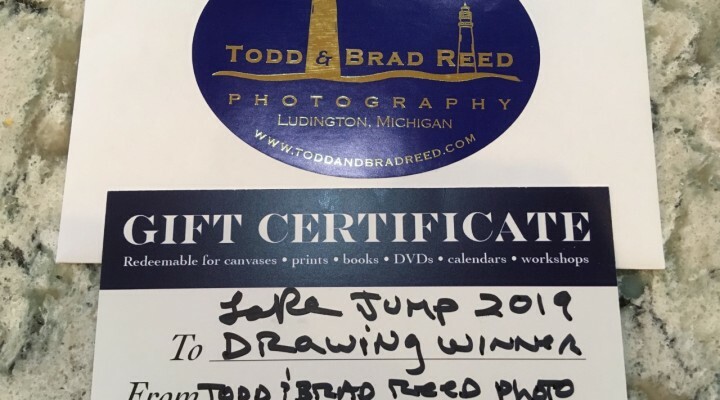 Come to jump in the lake on April 13th, and bring $50 or more in donations, and you will be entered into a drawing to win a gift certificate to Todd and Brad Reed Photo Gallery. The certificate includes a “Wondrous West Shore” book and a 14 inch matted print of your choice! It’s easy to be a jumper! Click the link to download the pledge sheet and gather your donations! Show up on April 13th. Registration will start at 9:30 and the jump will be promptly at 11am! ← Little River Casino Prize for one lucky jumper!